I bought a great pair of boots, after the assistant checked stock for me regarding one style. The two assistants were extremely friendly, professional and efficient; running the shop between themselves on a busy Saturday morning. 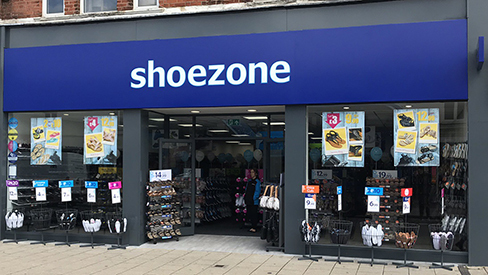 I ALWAYS FIND SHOPPING IN SHOEZONE IS BRILLANT,THEY ALWAYS HAVE A GOOD CHOICE ,I GET ALOT OF XMAS PRESENTS SLIPPERS ETC,STAFF ARE ALWAYS PLEASENT AND VERY HELPFUL.